The collection of David Eugene Price contains professional papers including: materials dealing with the American Political Science Association, and the Society for Values in Higher Education (newsletters included); material concerning community development in Durham, N.C.; research notes for his PhD. dissertation (Yale, 1969), dealing with the legislative roles of Commerce, Finance, and Labor and Public Welfare committees of the U.S. Senate (including a number of interviews with U.S. senators); class syllabi; published articles; campaign planning materials; materials relating to the Democratic National Committee Commission on Presidential Nominations (The Hunt Commission), 1981, including transcripts; documents relating to a Workshop for the Future of North Carolina, 1981, and 1984 N.C. senatorial campaign; materials related to Sen. Al Gore of Tenn.; and personal correspondence as a member of Congress, 1987-1994. The collections is currently unprocessed and access is restricted. Papers: In the North Carolina Political Campaign Collection, 1995-1996, 0.5 linear foot. Individuals represented include David Eugene Price. A finding aid is available in the repository. Videocassettes: 1986-1988, 20 commercials on 3 videocassettes. 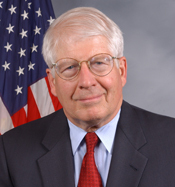 The commercials were used during David Eugene Prices campaigns for the 1986 and 1988 U.S. congressional elections in District 4 of North Carolina, Democratic Party.